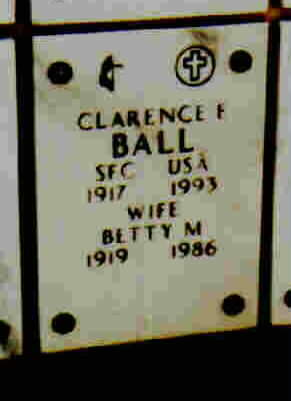 Sergeant Ball was born on September 28, 1917 in Hackettstown, New Jersey, and died on October 8, 1993 at the Veterans Hospital in Omaha, Nebraska. Formerly of Orlando, Florida, Sergeant Ball served thirty years of active duty with the Army. During the course of his career he was awarded the Bronze Star among his other decorations. He was a 31-year member of American Legion Post 294 in Pemberton, New Jersey, and also of the Veterans of Foreign Wars Post in Omaha. He will be inurned in Arlington National Cemetery, where he will join his wife and his comrades in arms. 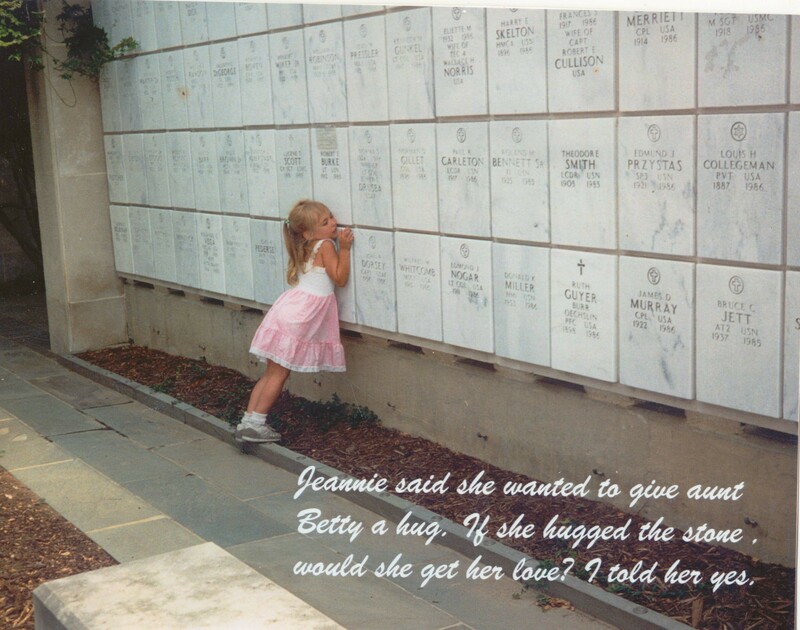 This is a photo of my daughter that I took at Arlington National Cemetery in 1989. I wrote the message on the back of the phofo and for by birthday a couple of years ago, she had this photo enlarged and had the message written on the front of it. Jeanie is now 23-years-old. It touched her then as it does today.